If you're going to spend some time in Manhattan, don't forget to bring your running shoes! Whereas NYC doesn't qualify in general as a running paradise (too much car traffic), the city has been getting better all the time. Almost the whole Hudson River-side has been converted from abandoned wharves into pedestrian zones and parks. There are some interesting, fairly quiet neighborhoods like Greenwich Village, the Upper West Side and even Downtown waiting to be explored. Add to that the huge expanse of Central Park, and you have some really interesting running areas at your disposal. So here they are, the best runs in Manhattan. Midtown/Central Park: most visitors stay in lively Midtown. If you're among them, you're in luck, because Central Park is just a short run away. Here is a route that explores Hell's Kitchen before heading through the park. Or just run the section in the park if you want to maximize your time in nature. Downtown: Downtown and the Financial District are located on the southern tip of Manhattan, so there are nice, park-lined, waterfront trails around the whole neighborhood. Plus, Wall Street, Trinity Church and City Hall themselves are an interesting backdrop for a good run. 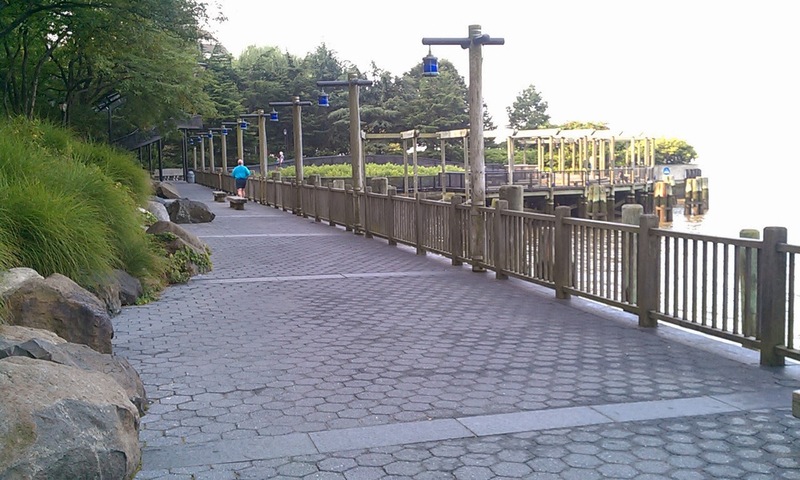 Riverside Park: This great park lines the west side of the island, along the Hudson River. This particular route follows the park along the Upper West Side, with a waterfront trail on the first half, and a mix of Columbia University and park trails on the way back. Greenwich Village: This is perhaps the most livable neighborhood on Manhattan, with pleasant brownstone homes along tree-lined streets. Long the home for a lot of creative people, the Village is full of music clubs and restaurants, with New York University and a proud gay community providing a lot of creative energy. This route criss-crosses the neighborhood a few times, zig-zagging along the nicest streets (OK, the route is confusing, but fun! ).